All the best 4K TV deals on the way, and if you have not yet considered one of these televisions maybe you should start to. Even though these are not a must have product you must be aware that 4K content is beginning to show up everywhere so it makes sense to get on board now so you can see the top quality you deserve. Most of the 4K tech out there you will see Netflix on board, before “ultra HD” 4K content was not really known, but now more is coming more available and 4K TVs are also becoming even more popular. So many different online retailers are offering some amazing 4K TV deals, especially around Black Friday weekend and Cyber Monday you can expect prices to drop even more that normal sales days. Other names to get great 4K TV deals include Amazon, Currys, ebuyer and many more such as Asda and Sainsbury’s. We will be listing many when they become available around Black Friday. You can get £50 off the marked price on all TVs priced over £599. At the moment the 49-inch SAMSUNG UE49KU6670 Smart 4k Ultra is priced at £649 after a £250 price cut, but by entering the Currys PC World discount code TV50 you will get another £50 knocked off. LOL, I guess you mean PC World. Merry Christmas sir. Currys PC World has started its early BF deals and are offering 4 4K TVs, first up is the LG 49UH850V Smart 3D 4k Ultra HD HDR 49″ LED TV Product code: 161412 where the price was £1,079 but now £699 thanks to the £380 saving. Next up is the LG 55UH850V Smart 3D 4k Ultra HD HDR 55″ LED TV Product code: 161468 with a total of £500 saving with the price now at £899. Third on the early bird list is the SAMSUNG UE55KU6670 Smart 4k Ultra HD HDR 55″ Curved LED TV Product code: 163434 at only £849 reduced from £1,249, and last but not least is the SAMSUNG UE49KU6670 Smart 4k Ultra HD HDR 49″ Curved TV Product code: 163146 down from £949 down to £699. There are many cheap large TVs on sale right now, but I am going to wait and be patient for the Black Friday 2016 deals to kick in, which starts around November 25th, Currys PS World is the one for me. Save a huge £900 on this stunning 65-inch black and silver LG 65UF770V smart 4k ultra tv from AO .com. Just head on over to the website and search the model number. Save £220 on the 50-inch Bush 4K Ultra HD LED TV with Argos online, the price is now only £329.99 reduced from £549.99. 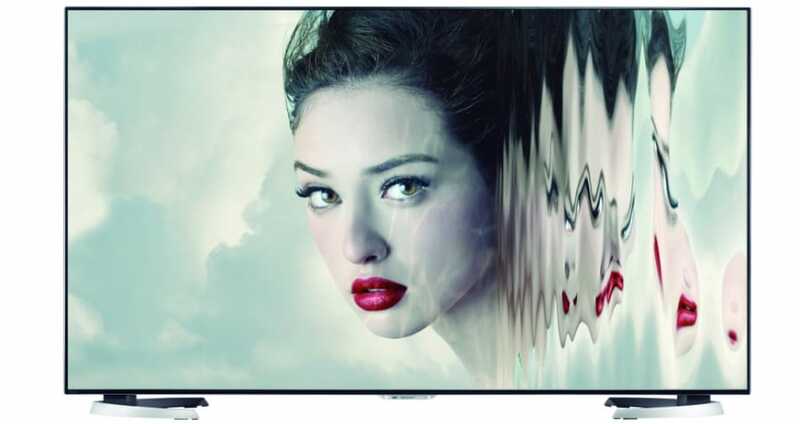 Here is a round-up of our favourite 4K TV deals from Argos today, hope you like these ones. 40-inch Samsung UE40JU6000 Ultra HD 4k LED TV with Smart WiFi and Freeview HD save £100 and buy for only £399. Very is offering a 1/3 off selected smart and ultra hd4k tvs, hurry now because there are some great savings. I have a feeling that Currys PC World be one of the best places online, along with Tescos for purchasing 4K TVs come Black Friday. Wow, Argos is selling the 49 inch Sony KD49X8305C 4K Ultra HD TV with freeview for only £799, it is normally £1299.99, that’s a huge £500 off. Over at John Lewis you can buy the buy the Samsung UE40JU6400 4K LED Smart TV for only £549, this comes with a special offer where you can save £200 which is already applied to the price.